Thailand, 15 August 2017 – HOYA Surgical Optics (HSO), the global leader in developing preloaded intraocular lenses (IOLs), officially opens its second manufacturing facility in Lamphun, Thailand, today. HSO is the fastest growing IOL company in the world and the new factory in Thailand is key to supporting the future growth of the company. Production at the new plant commenced in July 2017 and is in addition to HSO’s current factory in Tuas, Singapore. HOYA Surgical Optics is investing in excess of SGD40 million to build the new manufacturing facility in Thailand which, once completed, will feature state-of-the-art manufacturing capabilities and technologies. “HOYA has invested in Thailand with the BOI promotion since 1980s. The new HOYA factory marks an important milestone, and reflects how Thailand is pursuing its economic development through R&D, innovation, hightechnology and sustainable growth. This also builds on what the Thai government aspires to achieve through its Thailand 4.0, a new economic reformation model set to enhance Thailand’s competitiveness by increasing foreign investment in ten target industries and promoting the country as a regional trading and investment hub,” said Hirunya Suchinai, Secretary General of Thailand Board of Investment. “It is our core mission to help improve vision and quality of life for cataract patients globally. Therefore, establishing a second factory is necessary for us to meet rapid growing demand and to ensure that our intraocular lenses are accessible globally. We are also thrilled to be the first global IOL company to set up a commercial manufacturing facility in Thailand as it offers significant opportunities for collaboration with the Thai government, hospitals, clinics and surgeons” said John Goltermann Lassen, CEO of HOYA Surgical Optics. He added that Thailand was an ideal location for the company to set up its new manufacturing facility because of the strong presence that HOYA Corporation currently enjoys. The parent company has created over 22,000 jobs in Thailand of which 5,000 are based in Lamphun. 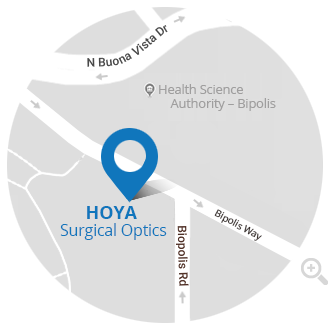 HOYA Surgical Optics (HSO) is a division of HOYA Corporation, a global technology and med-tech company and a leading supplier of innovative high-tech and medical products. With more than 75 years of optical product expertise from HOYA Corporation and 30 years of designing intraocular lenses (IOLs), HSO is the fastest growing IOL company in the world and the market leader in developing preloaded IOLs.